Pupils are assessed in four skills: Listening, Speaking, Reading and Writing. They will also be assessed on their ability to translate simple sentences into Spanish, based on language they have learned. We expect all pupils by the end of Year 7 to be able to manipulate the present tense and be working towards mastering the near future tense, as well as learning key vocabulary for the above topics. Grammatical accuracy, now a key element of the GCSE, will be essential to making good progress. For extra-curricular activities see below. ask for directions and understand the answers. Pupils continue to be assessed in four skills: Listening, Speaking, Reading and Writing. They will also be assessed on their ability to translate basic sentences into Spanish, based on language they have learned. We expect all pupils by the end of Year 8 to be able to manipulate the present tense, and the near future tense and be working towards mastering the Preterite (simple past) tense, as well as learning key vocabulary for the above topics. Grammatical accuracy, now a key element of the GCSE, continues to be essential to making good progress. In Year 9 Spanish, students consolidate their learning and expand on their ability to express themselves fluently. Emphasis is on mastering the three main tenses – Preterite (past tense), Present and Near Future (going to) and Simple Future (will) – as well as consolidating and improving their vocabulary. This is essential for further study. Topics covered are free time and going out, jobs and future plans, health, the environment, and visiting a Spanish city. Pupils are assessed in December, at Easter and in the Summer Term, in order to monitor their progress and attainment.The Spanish Department offers a trip to Barcelona at the end of Year 9 during activities week. In Barcelona, we do many exciting activities such as visiting the Nou Camp and the incredible Sagrada Familia. You’ve done 3 years of Spanish, why carry on? 2. There are 21 countries where they speak Spanish. That’s 21 places to visit where you’ll be able to travel, understand and be understood. That’s a lot of holidays! 3. There are over 400 million native speakers of Spanish, and 60 million who speak it as a second language in the world. If you want to be successful in their commercial environment, you’ll need to speak their language. 4. All these people are interesting, fun, and enjoy a rich cultural heritage which is just waiting for you to explore! We use the Viva GCSE book. It is divided into 9 units, covered over the 2 years. You will continue doing Listening, Speaking, Reading and Writing. The four Key Themes are: Leisure, Home & Environment, Work & Education, and Lifestyle. Classwork: You will have lessons similar to those you’ve experienced in Years 7-9, and you will be revising vocabulary and grammar you have already learned, plus you will have more vocabulary to learn, and more complex grammar. If you are good, we will push you so that you are ready for the transition to Spanish IB in the Sixth Form. Homework: You will have different types of homework 4 out of the 5 lessons per fortnight. This will be learning vocabulary, doing reading / listening / grammar tasks on line with the Digital Active Learn or in your exercise book. Assessments and Exams You will do vocab tests and other small tests as you go along, obviously. There’ll be more serious tests termly, in order for you and your parents to know how you are progressing, and mocks at the end of Year 10 & in November of Year 11. The official GCSE examination is divided into 4 skills; each of them is 25% of GCSE. In Year 10 students begin the 2-year GCSE course in Spanish, consolidating their learning and expanding on their ability to express themselves fluently. We use the Viva GCSE digital textbook. The topic areas covered in Year 10 include Self and family, School and Work, Free time, and Where I live. Pupils are assessed in four skills throughout the GCSE course through regular tests in Listening, Speaking, Reading and Writing, as well as Translation. They are given regular assessments in Listening and Reading using both past papers and GCSE-style tests, and can assess their progress according to how well they do. Throughout Year 10 and 11 we do preparatory work for the GCSE Speaking and Writing examinations. Grammatical accuracy, now a key element of the GCSE, will be essential to making good progress. In Year 11 students complete the 2-year course to GCSE in Spanish. We continue using the Viva GCSE digital textbook. The topics covered this year are revision of the topic areas from Year 10, plus Lifestyle (health & youth issues), The World of Work, Home & Local Area and Environmental Issues. Pupils continue to do regular Listening and Reading assessments using past GCSE papers at both Foundation and Higher Level. All examinations (Listening, Speaking, Reading and Writing) take place at the end of Year 1. Each exam is 25% of the whole GCSE. Students can be entered at Higher or Foundation level. The Mock Exams in November of Year 11 are used to generate the student’s predicted grade. There is more emphasis on grammatical accuracy at GCSE which will give students a very good base should they decide to continue with their study of Spanish at IB (International Baccalaureate) in the Sixth Form. We offer a trip to Salamanca where students do a one-week Spanish course in the mornings and exciting activities in the afternoons and evenings. This trip is for Year 10 – 13 students and takes place every other year. Great opportunity to immerse yourself in the culture and the language! At KS5 students can study Spanish through the IB at Ab initio, Standard or Higher Level. We use a wide range of resources to offer students an exciting and interesting experience developing their language skills. Trip: We offer a trip to Salamanca where students do a one-week Spanish course in the mornings and exciting activities in the afternoons and evenings. This trip is for Year 10 – 13 students and takes place every other year. Great opportunity to immerse yourself in the culture and the language! 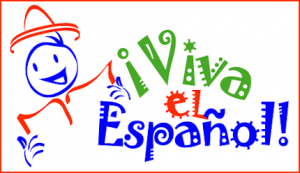 Spanish club – As part of your learning, you have other opportunities to practise and learn Spanish outside the classroom. We run a Spanish club one lunchtime a week, where you can come and play games, do Spanish Karaoke, etc. If you find any aspect of the language difficult, there is an excellent team of Sixth Form students who sit with students to do some one to one work. Pen-pal project – We offer all students the opportunity to take part in a pen-pal project with our partner school, Colegio Claret, in Don Benito, Badajoz. Great to be in contact with a Spanish student and exchange letters. We also organise Skype sessions with them! Cooking / Food tasting sessions students in small groups learn to cook some Spanish and South American dishes such as Spanish omelette and churros con chocolate. Japanese video project Y7 and Y8 Spanish students take part in a video project with two primary schools in Japan.